Aircraft structures are required to sustain critical loading conditions during maneuvers or when flying through atmospheric turbulence. Gust Load Alleviation (GLA) system can be used to reduce the dynamic response to gusts and by that alleviate critical design loads and improve the ride comfort and equipment functionality. 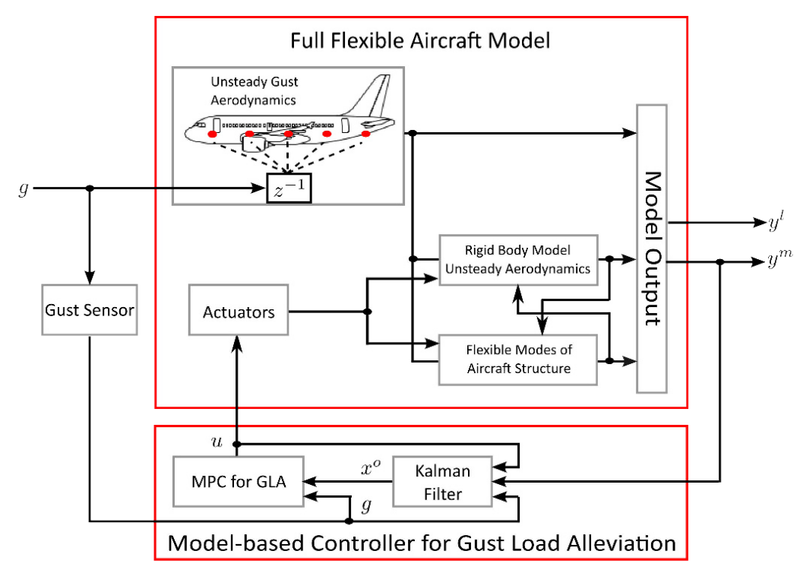 The aim of the Master's thesis is to exploit a Model Predictive Control (MPC) framework to address GLA for lighter, more comfortable aircraft. The performance of the model-predictive control is further improved by introducing an additional feedback loop (LIDAR onboard measurement ) to increase the prediction accuracy. 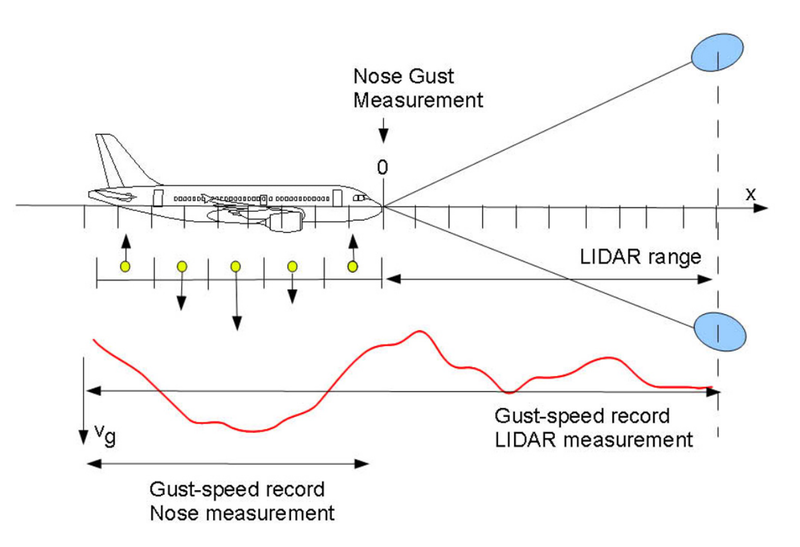 1) Literature research and familiarization with aero-servo-elastic aircraft modelling. 2) Derivation of reduced linear and nonlinear models suitable for design of MPC. 3) Development of an MPC controller for the derived model in order to minimizing loads at selected stations. 4) Evaluation of MPC controller performance via simulations.